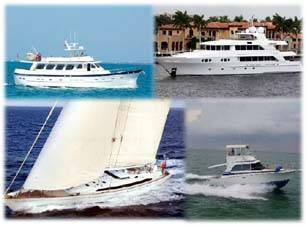 Why list your yacht for sale with Curtis Stokes? 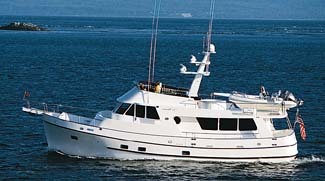 We only list and market for sale yachts & boats we have personally inspected and can professionally represent for sale. We use extensive internet marketing for our listings. This includes websites like Yachtworld.com, Yatco.com, Boattrader.com, boats.com, marinesource.com, yachtsforsale.com and many others. We employ enhancements for our listings on these websites to make our listings stand out amongst the competition. We also post videos of our listings on YouTube and our website. And, we aggressively market and design our website for the best search engine rankings and client listing market exposure. We market extensively in international, national and regional yachting and boating magazines. 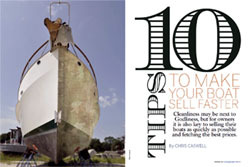 This includes such magazines as Yachting, Power & Motoryacht, Showboats, Yachts International, Soundings, SEA, Sail, Cruising World, Florida Mariner, PropTalk, Invictus, PassageMaker and numerous others. We strongly encourage other brokers to sell our listings through co-brokerage agreements. We participate and display in many boat shows and special events year-round promoting our listings for sale to potential buyers. We work every day, including weekends and holidays, so that prospective buyers for our listings reach us and learn more about our listings quickly. For a free, expert, accurate market evaluation on your boat please complete the from below.